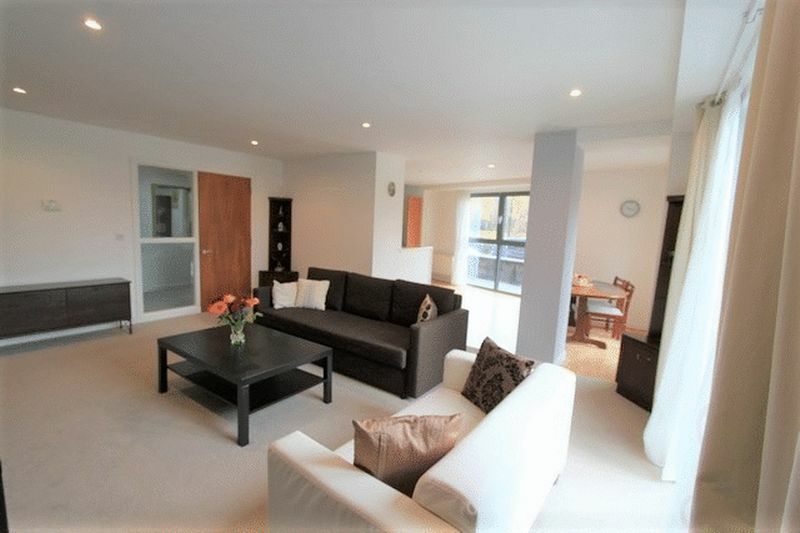 Larger modern luxury two bedroom master en suite apartment situated on the ground floor with a generously sized outside terrace within Glasgow Harbour with a wonderful outlook and allocated underground secure parking. The accommodation comprises reception hallway, open aspect lounge, dining room and kitchen with access to front and side facing terrace. 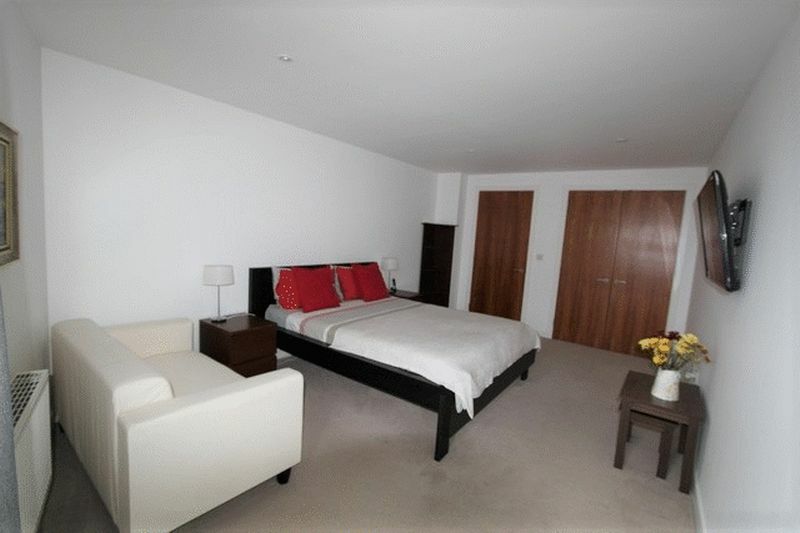 Two double sized bedrooms, master en-suite and separate guest bathroom. 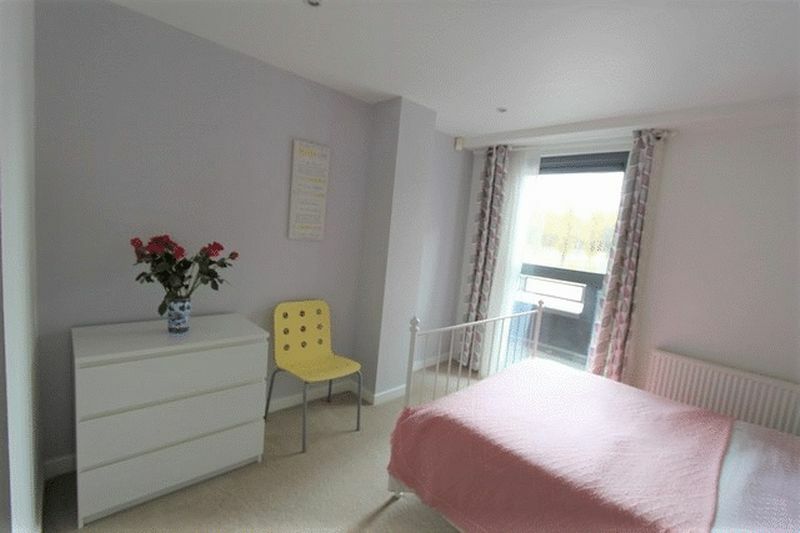 Features include ample storage space in bedrooms and hallway, gas fired central heating, utility room, double glazed windows, secure underground car parking. 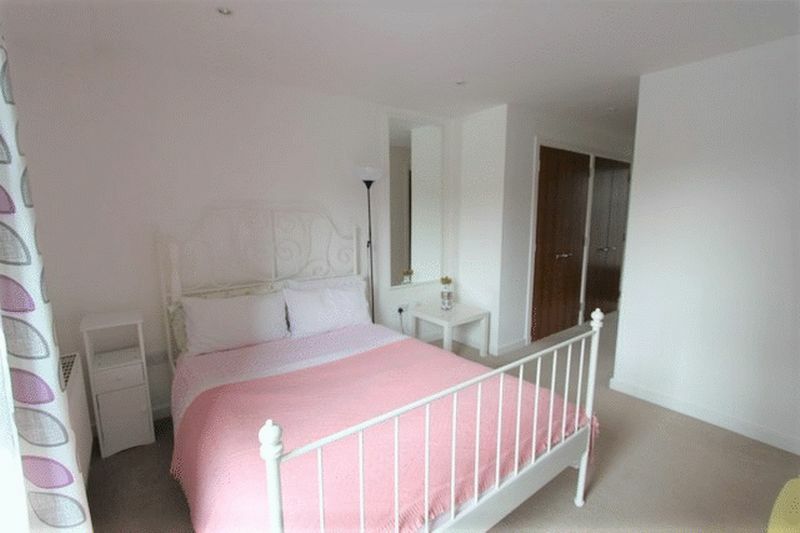 Another feature is the location set within easy access of all local shopping, transport and education facilities. Entrance	Entrance door through to entrance hallway, entry phone handset, radiator. Built-in storage cupboards. 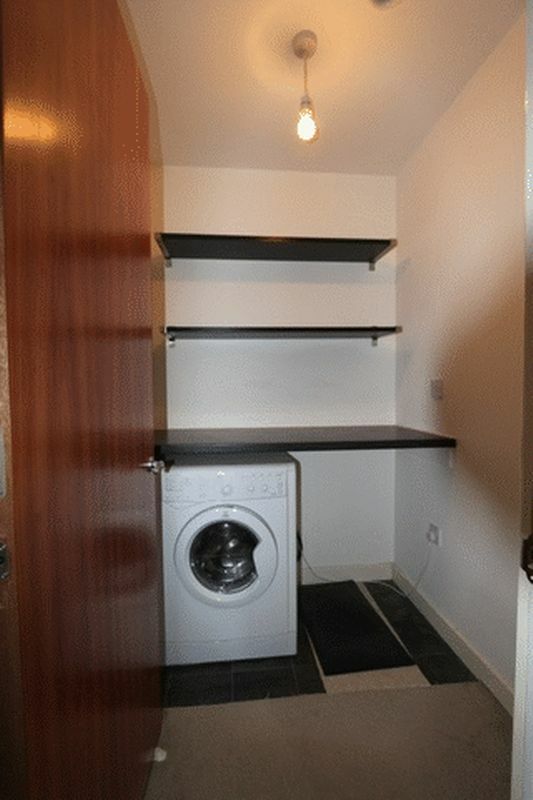 Utility room with space and plumbing for washing machine, shelving. Cloaks cupboard. Lounge	19' x 14' (5.8m x 4.27m). Carpeted, radiator, spot lighting. Sliding patio doors to terrace. Kitchen/Dining Room	20' x 11' (6.1m x 3.35m). 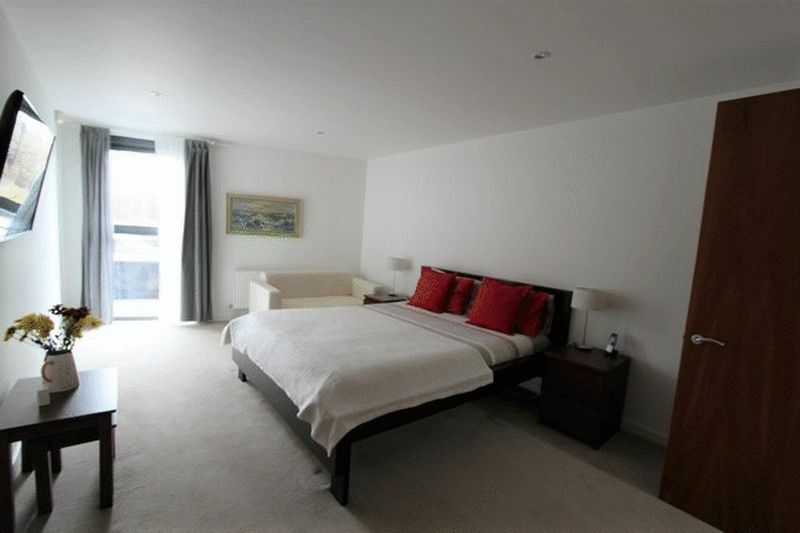 This room is of an irregular shape, double aspect with floor to ceiling double glazed windows. 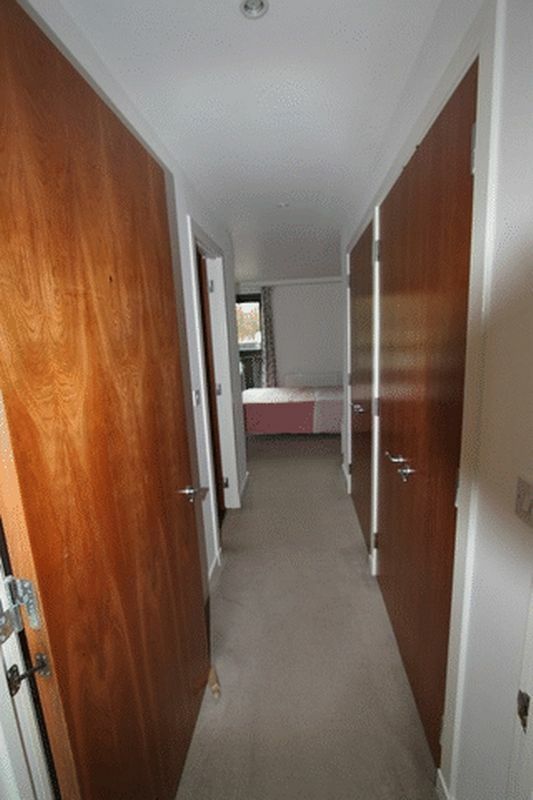 Laminate flooring, spot lighting, radiator. 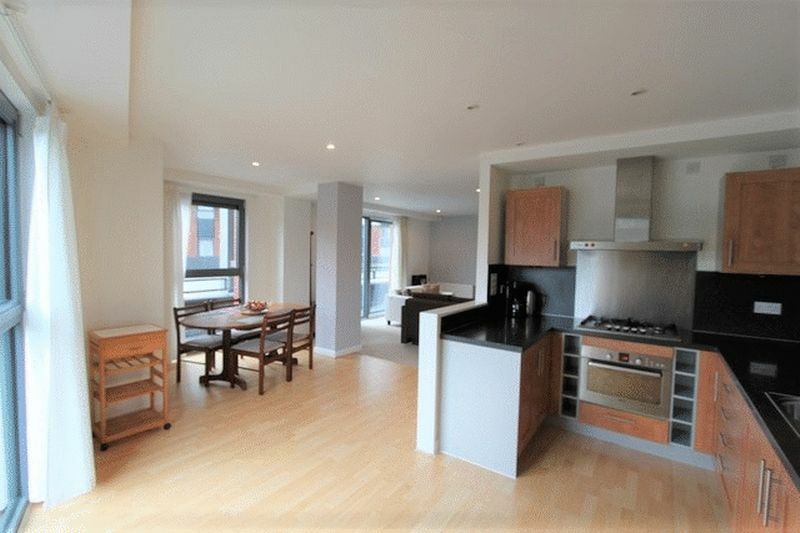 Fitted kitchen with one and a half bowl sink unit, five ring BOSCH gas hob, BOSCH cooker integrated dishwasher, integrated full height fridge/freezer. Bedroom One	10'8" x 10'7" (3.25m x 3.23m). Double glazed window front facing. His and hers fitted wardrobes. 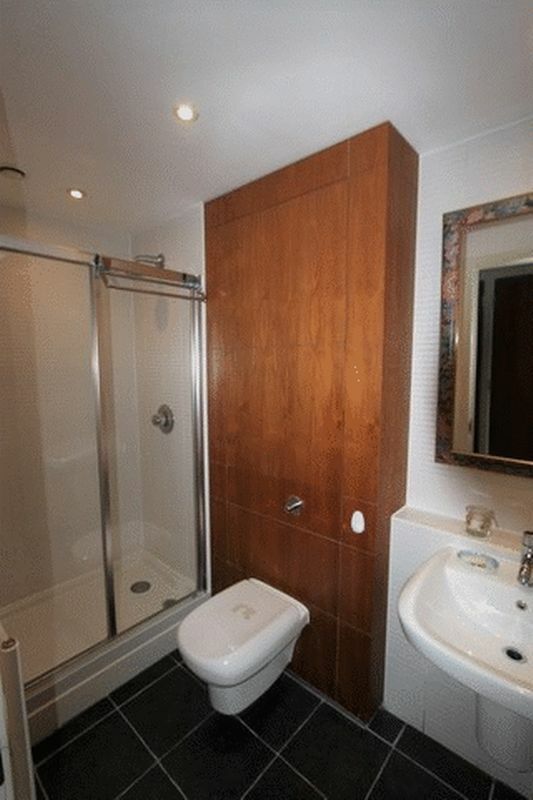 Ensuite Shower Room	Low flush w.c., wash hand basin, fully tiled double sized shower cubicle. Bedroom Two	17' x 11' (5.18m x 3.35m). Double glazed window side facing, radiator, built-in wardrobe cupboard. 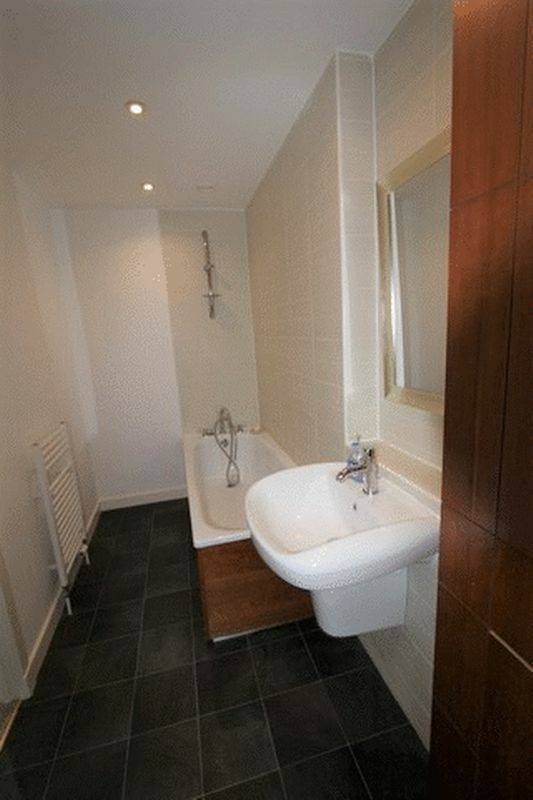 Bathroom	White suite comprising low flush w.c., bath with mixer tap, heated towel rail. 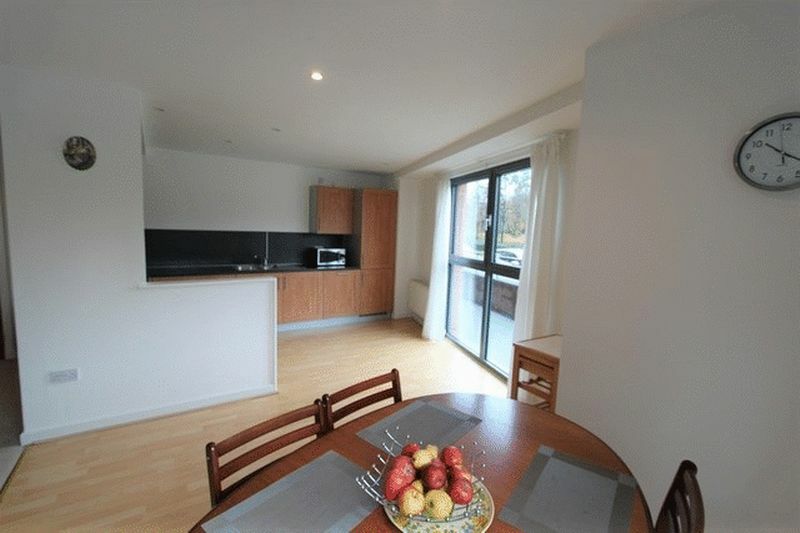 External	Outside the property a large private race to two sides, secure underground car parking with lift access. 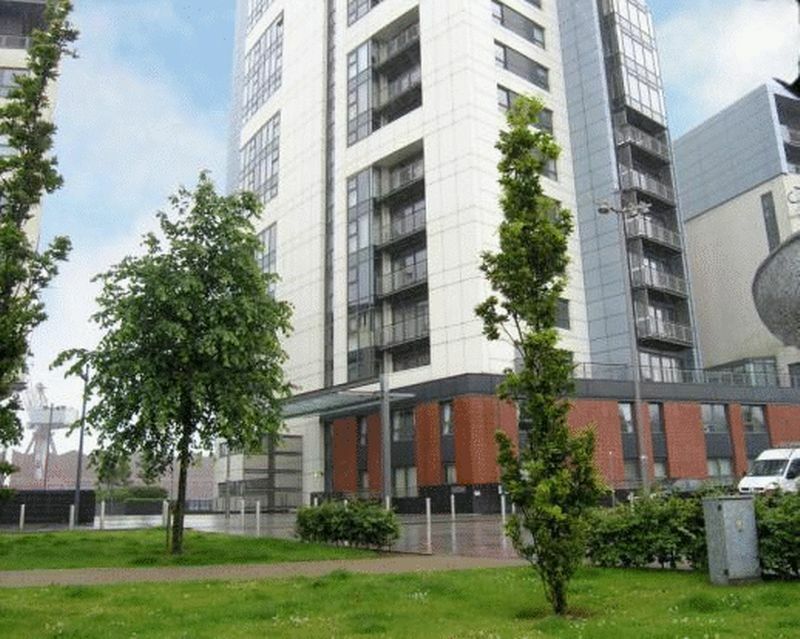 Riverside walkway and landscaped communal gardens. 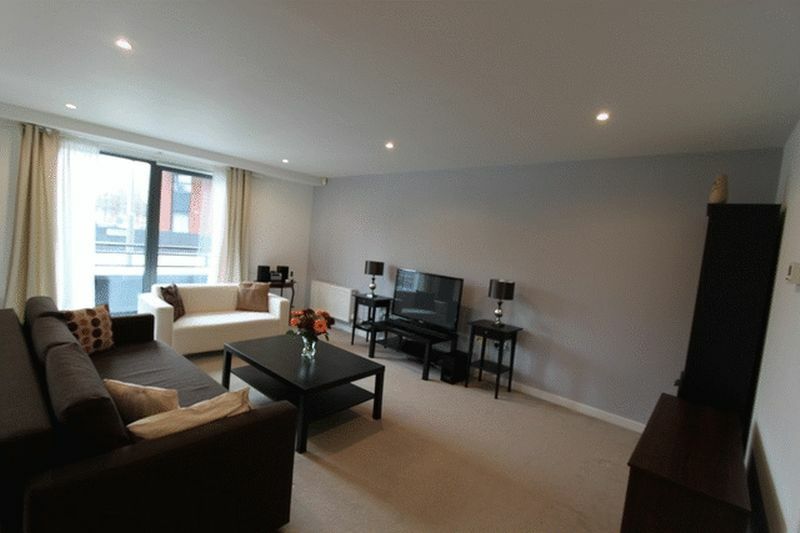 Situated on the banks of the River Clyde the property enjoys a convenient yet quiet location for the West end. 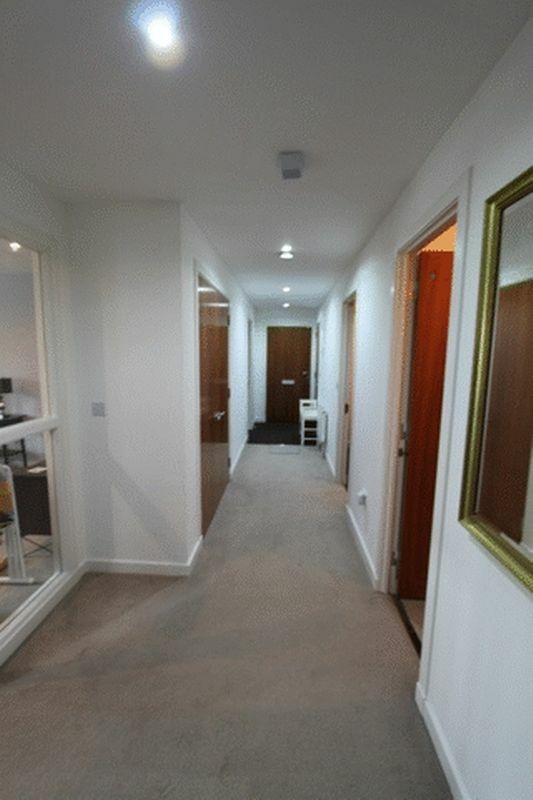 There are amenities in close proximity on Dumbarton Road and Byres Road which offers a wealth of social and recreational opportunities sought by the discerning West End socialite. Public transport caters for all taste with bus, rail and underground at Partick and road links are easily accessible by car and motorcycle should you wish.